Halloween is upon us, which means it’s time for spooky costumes, trick-or-treating, and perhaps more importantly, Halloween parties. Whether you’re gearing up to attend a Halloween celebration this weekend, plan on throwing your own, or just plan on sitting at home and passing out candy — a great cocktail can be just what you need to take a spooky night to the next level. 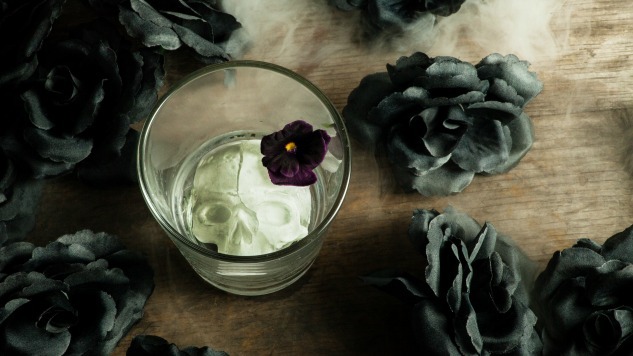 Below are a few great options for spooky concoctions to sip on while you celebrate. Directions: Shake all ingredients with ice and strain into a rocks glass. Garnish with mint leaves and top off the drink by flaming ground cinnamon. Grill 2-3 peaches (or any seasonal fruit) until nicely charred. Mix the peaches in a blender with equal parts white sugar and strain. Directions: Combine ingredients in Boston Shaker with ice and shake vigorously. Strain into a chilled martini cocktail glass with sugared rum. Garnish with orange twist. Directions: Stir ingredients and strain over large ice cube. Garnish with a lemon twist (optional).